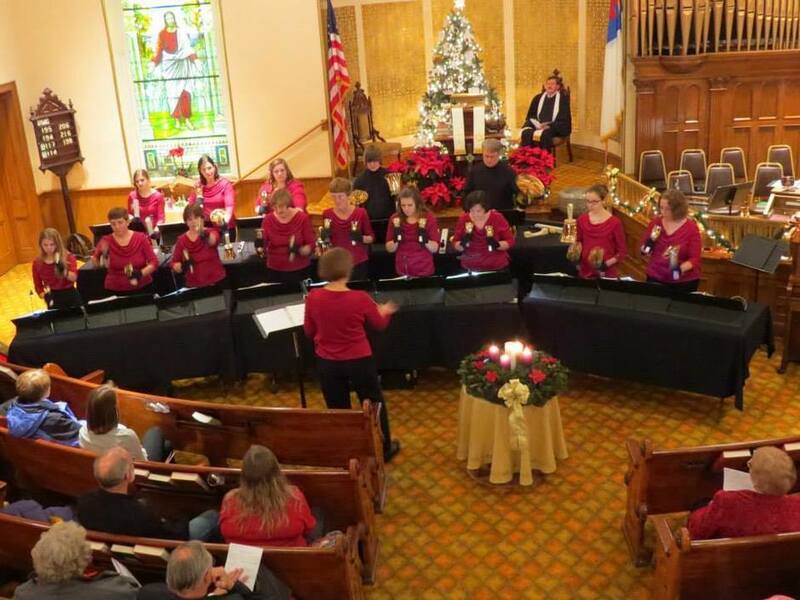 Founded in 1998, the Hudson River Bells (HRB) is an intermediate / advanced level handbell choir with an inter-generational group of 14 ringers, from teens through seniors. 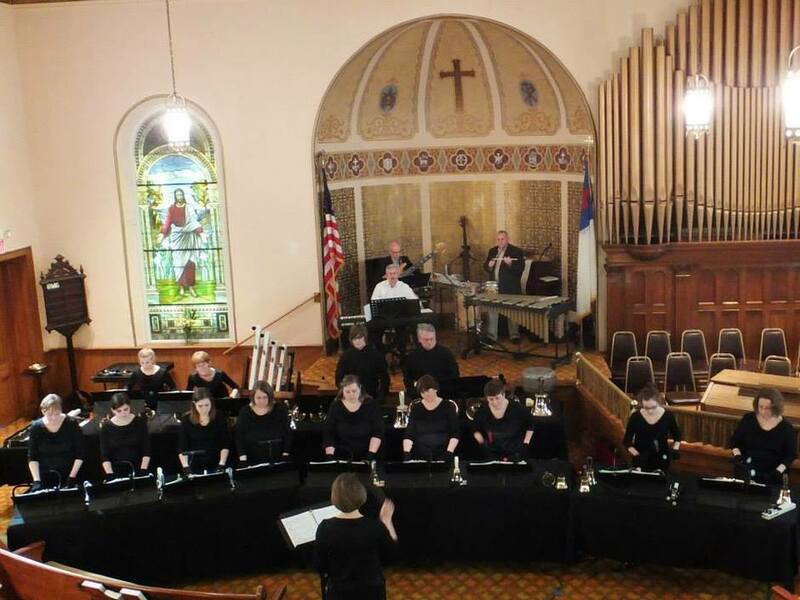 HRB is directed by Kathy Boyer, music director at the First Reformed Church of Athens, and where the bell choir is housed and supported. HRB has an open membership and ringers need not be members of the church. In America, handbell groups were booked on the Chautauqua circuits and were popular during the days of vaudeville. With the demise of these entertainments, handbell ringing disappeared. 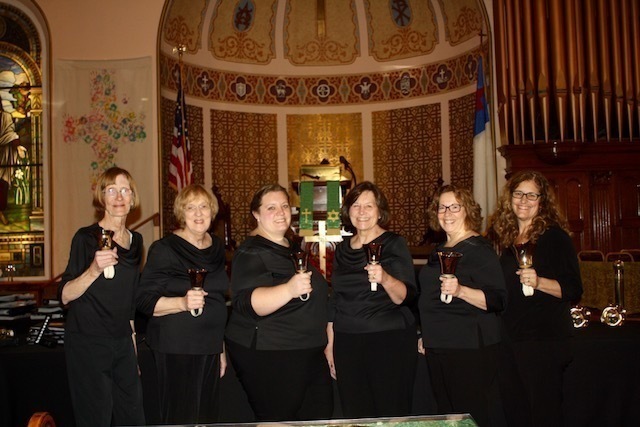 The Beacon Hill Ringers in Boston, inspired a rebirth of handbell ringing in New England, and in 1948, a New York City based group appeared on the Gary Moore TV show. There was a tremendous national response, and by 1954 the AGEHR, now the Handbell Musicians of America, was founded. 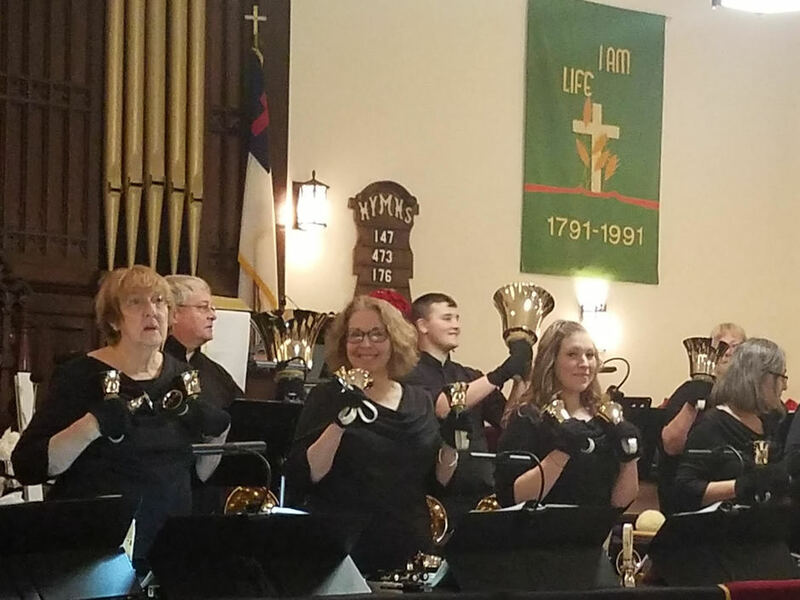 Now there are thousands of groups in churches, schools and communities throughout the country and around the world; and musicians who arrange music for handbell choirs and compose original music for handbells. The Hudson River Bells ring a five-octave set of handbells and choir chimes. In addition to ringing during church services, they give concerts and perform at weddings and other special occasions. For further information, contact our Director Kathy Boyer at the "Contact Us" link.